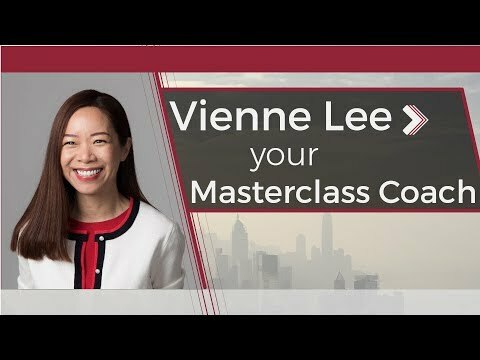 Vienne Lee introduces highlights of your Finance Mandarin Masterclass program. Your time is valuable and we understand your need for due diligence. We are happy to assist. Just leave your email address, and we will get in touch. Vienne Lee has been a serial entrepreneur and committed educator for the past 20 year. She has established three successful educational ventures with profit. She has brands of Finance Mandarin, Finance English, Business Mandarin and HK Language. I am excited and open-minded to discuss any EdTech, AI investment and business partnerships. Vienne Lee coach C-level clients - who are the world's top financial institutions including Goldman Sachs, JPMorgan, Morgan Stanley, CPPIB, VISA, Fidelity, HSBC, HKEX, SFC to name just a few - to build closer relationships, to engage with and inspire their mainland Chinese Stakeholders. Learn Business Mandarin with our expertise in Finance Mandarin: IPO, M&A, Hedge Fund, Private Equity, Project Finance and Asset Management. Vienne Lee and her AI enabled team provide first class Finance Mandarin Chinese training and Presentation Skills coaching for C-level executives and corporations. Learn Finance Mandarin Chinese at www.financemandarin.com. Vienne Lee has 20 years of experience serving the finance and legal sectors in major financial hubs. As the founder of Finance Mandarin, she originates and designs comprehensive online training to strengthen bankers’ Chinese language foundation, strengthen their understanding of Chinese government policy and regulations, and strengthen their necessary market intelligence. The return on investment becomes a reality as her clients excel on the most complex transactions across financial products. Course prospectus has full details of all programs. "Vienne CC Lee is a super-connector full of passion and entrepreneurial spirit. She has coached numerous senior executives in real estate investments in Asia Pacific. Vienne's program "Finance Mandarin for Real Estate" include REITS, Real Estate Finance, Real Estate Investment Structure, major China Property Developers profile, SOEs etc. Particularly useful is her insight into these topics from a Chinese cultural perspective. I would have no hesitation to recommend her to any real estate senior executives seeking to strengthen their Mandarin and at the same time gain insights into the Chinese investment market." "I studied with Vienne for a year focussing on business related Chinese topics ranging from private equity and leveraged buyouts to trade finance. Vienne quickly understood my learning style and adapted her teaching style to suit, she came well prepared to each lesson with case studies relating to the latest news on telecoms, banking and finance. In addition to language skills, Vienne provided insights into Chinese culture and business practices which were invaluable for navigating working in a Chinese company. If you are looking for someone to study business Chinese with I thoroughly recommend studying with Vienne." "My internal auditor highly recommended Vienne Lee to me as my first Mandarin Chinese trainer, when I worked at Fidelity. Vienne has been coaching executives in the financial market for 18 years. She is passionate in helping students to make progress. I am happy to recommend her to my connections." Get recognized for your knowledge when you earn an official certificate of completion from Hantong Finance Institute Limited, one of the world's leading China business schools, and use it as proof that you've got what it takes to set yourself apart. This program also counts towards an Finance Mandarin Executive Certificate, which you can earn upon completion of four programs where at least three of the four come from your chosen certificate track and at least one is completed in-person. Your certificate will be issued in your legal name and couriered to you, at no additional cost, upon successful completion of the program, as per the stipulated requirements. All certificate images are for illustrative purposes only and may be subject to change at the discretion of the provider. Will I have the time ? Your time is precious and in high demand. We understand. Finance Mandarin's learning model is designed to help you, as a working professional, improve your skills without compromising on work and family responsibilities. The course work is broken up into weekly, manageable bite-sized modules, with incremental deadlines, designed to help you pace yourself over the duration of the course and allow you the legroom to work when it suits you best. Learn at the time suitable to your schedule, anywhere, on any device. At the beginning of each week you'll be presented with all the lectures, notes and assignments necessary for completion. You also have access to your Tutor who will help you set goals and track key milestones, manage your time, and handle any administrative requests you might have. Can my employer assist with payment ? What is the online campus ? In a modern world, learning needs to fit in around *your* life. Your Finance Mandarin Online Campus enables you to learn at times suitable to you. Access your course at any time and on any smart device to integrate your studies into your daily routine. Your Finance Mandarin Online Campus will be your virtual classroom for the duration of your course. Through its easy-to-use interface you'll have access to a diverse variety of course content formats, including: interactive video lectures, module notes, practice quizzes, assignment briefs, and additional web resources. On the Online Campus, you'll also be able to ask questions and interact with your fellow students and Head Tutor through the Online Campus chat facility. If you're experiencing technical issues or need advice, you can use the Online Campus to get in touch.